“Our lives begin to end the day we become silent about things that matter most.” Dr. Martin Luther King, Jr.
We held our “Justice Days” for high school students in the Washington DC area in April 2017. Sr. Anne-Louise Nadeau created a template of the programming if you are interested in doing something similar. 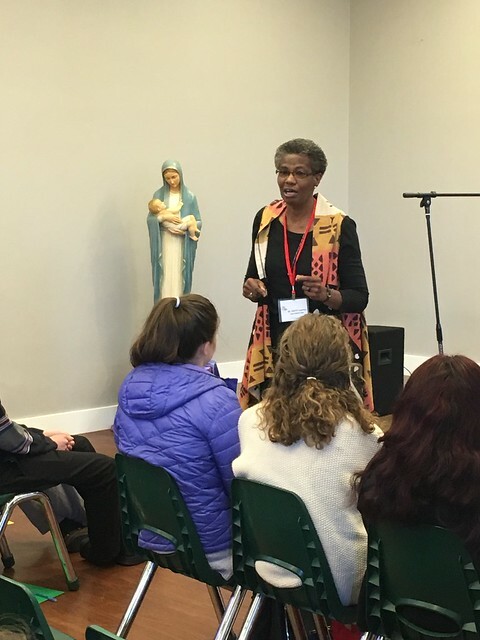 It was a successful, two-day experience that allowed high school students to learn about justice and advocate for immigration and environmental rights. Click the picture below to see all the photos from the Justice Days.